Just as every family is different, every person's moving needs are different. The household moving services you require will be different too. Full Service Packing - All items in your home are packed by our experts using the most up-to-date packing methods and materials in the industry. Fragile Packing - You define your breakable or high-value items such as dishes, glassware, artwork, fragile furniture, mirrors, etc. Preston professionally packs them with care, and you pack all other belongings. Do It Yourself Packing - Preston can provide boxes and materials to make your job as easy as possible. Loading - Each of your belongings is labeled, inventoried and loaded in a systematic process. Additionally, all upholstered furniture is wrapped in Stretchwrap, a strong, clear plastic that completely covers the furniture, protecting it from dirt and damage. Transportation - All of our trailers are equipped with airride suspension systems to ensure the contents travel in the safest manner possible. All trucks are driven by professionals with the best training in the industry. Unloading - Upon arrival, all items are inventoried as they are unloaded. When unloading, furniture, boxes and other belongings are placed in the rooms you designate. Assembly of beds, bookcases and other furniture is available upon request. Additionally, Preston protects your new home by using several types of floor runners to prevent stains or scratches on carpet and wood flooring. Unpacking - Boxes are opened and contents are removed and placed on a flat surface. If desired, Preston will provide any further placement needs. Boxes and packing material removal is included within this optional service. Crating - High-value items such as artwork, electronic equipment or delicate collectibles may need some added attention. Consider custom crating to protect fragile or non-standard sized belongings. Cars/Boats - Transporting larger items such as cars and boats can be included in your household moving services. Depending on size, the items will be protected and placed in the truck with the rest of your belongings... or on another vehicle if necessary. Assembly/Disassembly - Preston can help with disassembly of furniture, swingsets, etc. prior to your move or re-assembly upon arrival at your new home. Third Party Services - Upon request, third party services such as appliance connect/disconnect, pool or hot tub disassembly/assembly and cleaning services can be arranged for you. Shuttle Services - If access to your home is difficult because of a narrow driveway or obstruction, Preston will provide a small truck to transport your belongings from your old home to the moving van or from the moving van to your new home. Storage - Storage-in-transit is available either in our climate controlled warehouse or on the van. Storage is a good option if you are not yet able to move into your new home for any reason. For international moving services to ensure your seamless transition overseas, look no farther. Preston recognizes your specific needs for your move, and then customize your international moving services to reflect those needs. You need an international moving company with knowledge, experience and comprehensive resources to transport you globally. Our corporate relocation services are designed with your company's functionality and productivity in mind. Preston understands your need to have a smooth, seamless transition for your employees from one location to the next. 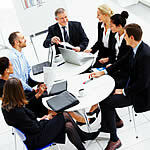 Preston realizes this as your corporate relocation company, but also as a successful business ourselves. Copyright © 2019, Preston Transport Ltd. All Rights Reserved.